Worldwatch Institute, ed. State of the World 2007: Our Urban Future. Washington: Worldwatch Institute, 2007. Humans are an urban species: today, over half of the Earth’s population live in urban areas. Unplanned and chaotic urbanization is taking a huge toll on human health and the quality of the environment, contributing to social, ecological, and economic instability in many countries. If global development priorities are not reassessed to account for massive urban poverty, well over half of the 1.1 billion people projected to join the world’s population between 2007 and 2030 may live in under-serviced slums. 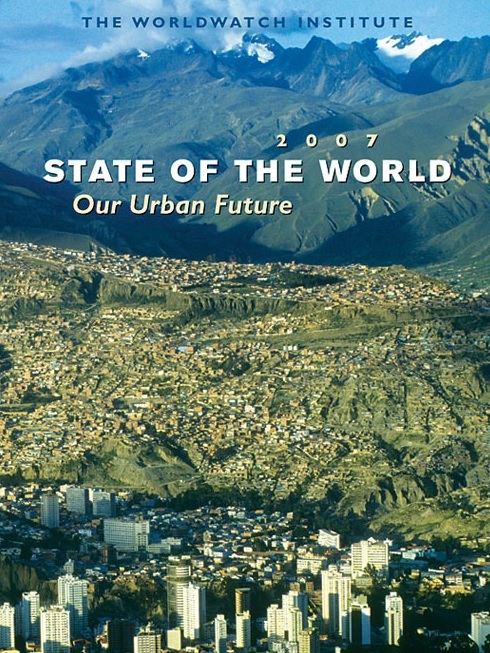 State of the World 2007: Our Urban Future examines changes in the ways cities are managed, built, and lived in that could tip the balance towards a healthier and more peaceful urban future.